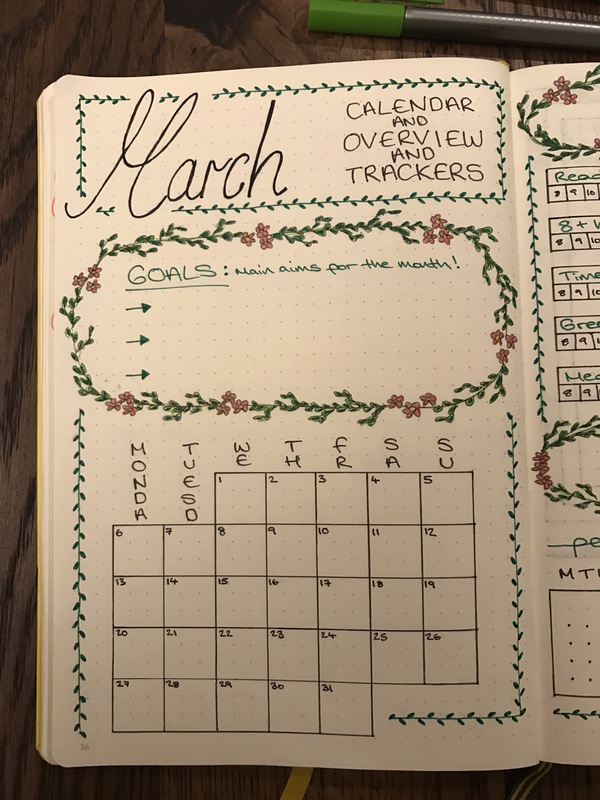 I absolutely LOVE my layout for March this year! Green and leafy, it makes me happy every time I look at it. My usual mini calendar overview has been included. 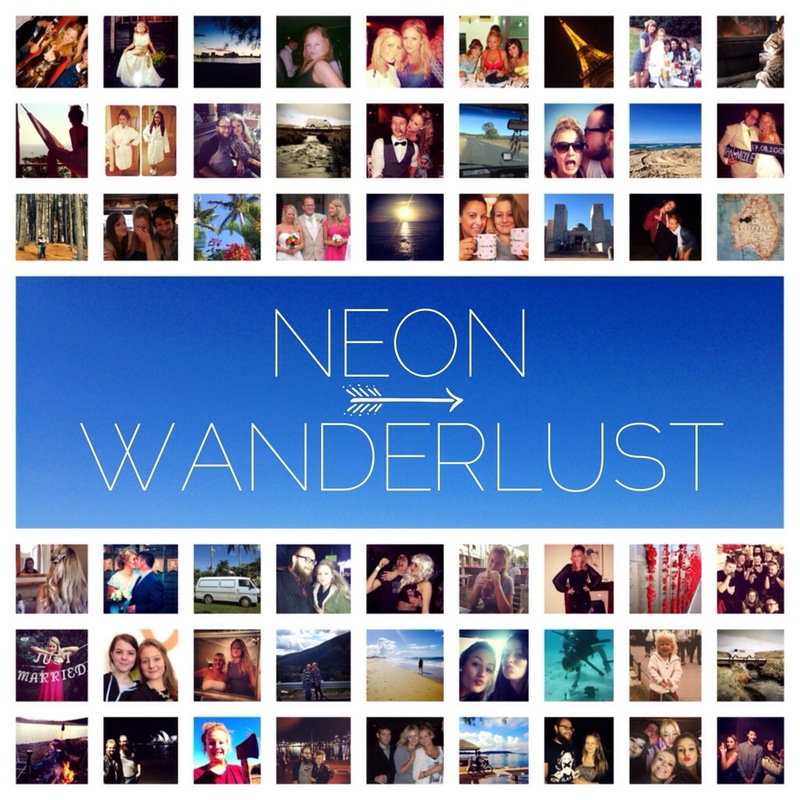 So helpful, I refer back to it the most during the month, when making appointments or needing to check dates. 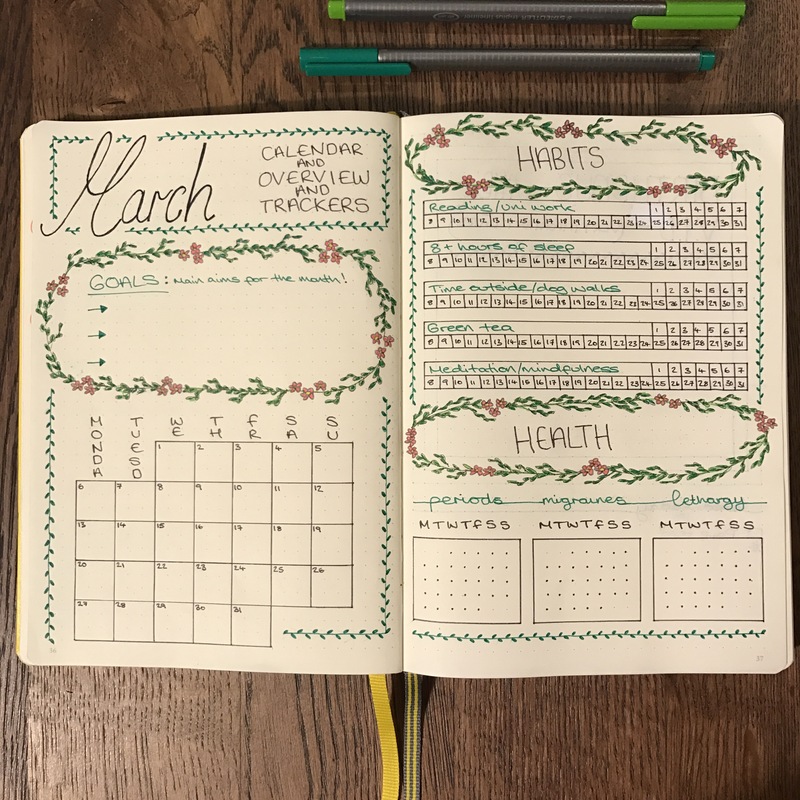 I also really like having monthly goals, I set myself smaller weekly goals anyway but it’s awesome to have some bigger goals to smash for a real sense of achievement. I’ve cut my habit list down slightly and changed the order. My uni work is a priority this month as I have several essays due and my dissertation to work on. I removed the ‘2.5 litres+ water’ tracker as I drink a LOT of water already and was hitting the target every day. I aso removed the ‘yoga/work out’ tracker as with uni and work I just haven’t had the time to get to the gym and it was bumming me out every time I looked at the empty tracker. 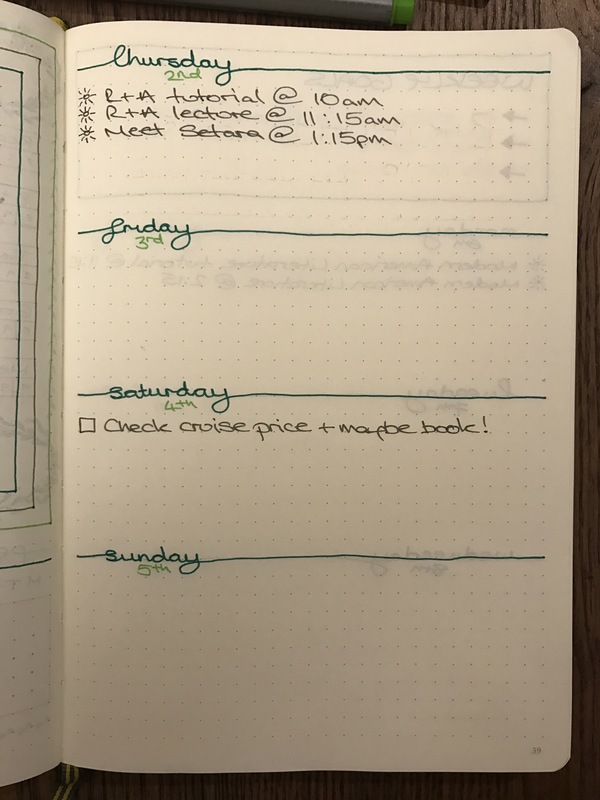 This March starts on a Wednesday so I had space to fill where the Monday and Tuesday would normally be in my weekly layout. I have used this as a place to note special occasions, birthdays, anniversaries etc. 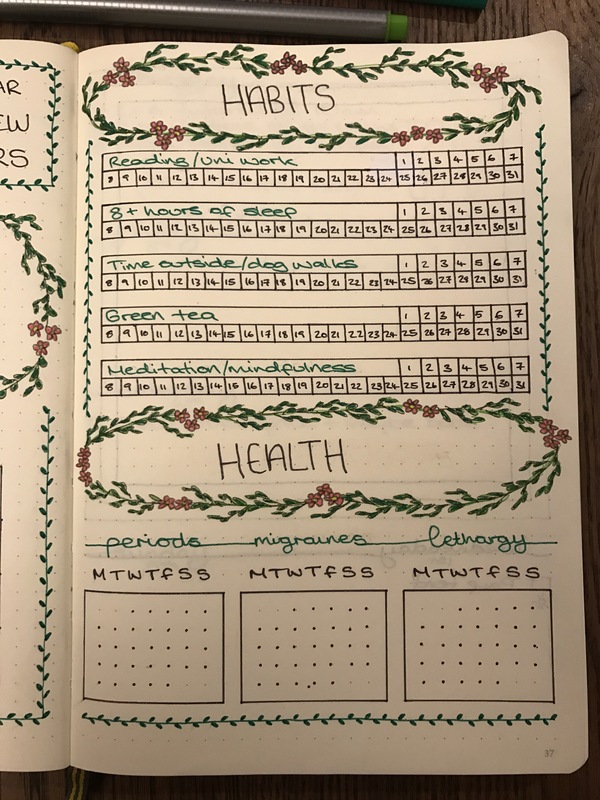 I’ve stuck to my simply weekly layout. 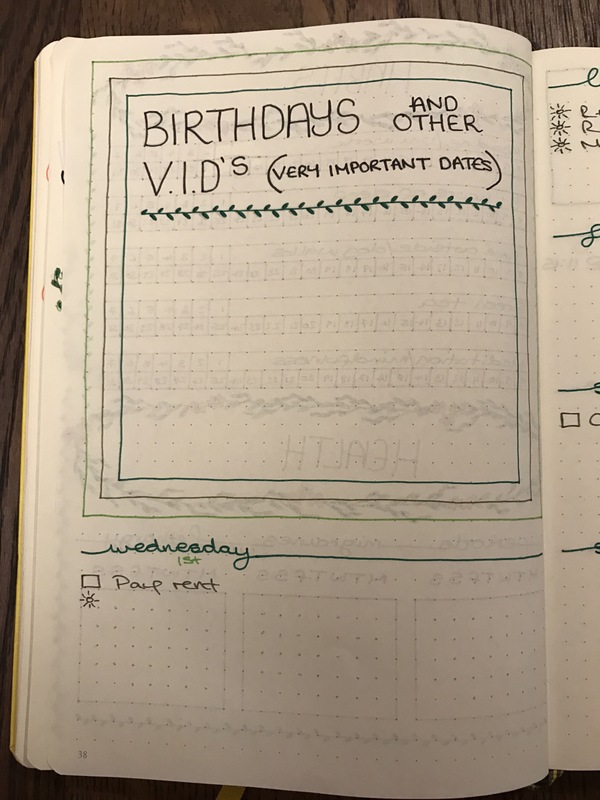 Handwritten day to break up the page with date numbered underneath, in colours to match the months theme.